· FoodSource Plus – This year alone, CCAI member agencies averaged savings of $26,000, representing 21% of their food costs in savings with FoodSource Plus!!! This member service is especially beneficial for residential, group home and child care programs. Overall savings for our participating CCAI members was over $132,000. · Alper Services provides a full range of business, financial and insurance services - some of which are cost reduction consulting, risk management and claims managements. One of our member agencies decreased its insurance premiums by 16%!!! · COA Accreditation Discount – Your CCAI membership saves your agency 25% on accreditation and reaccreditation costs. In FY 2008, savings to CCAI members was over $80,000.00! When you apply or reapply for COA, let them know you are a CCAI member. · First Non-Profit Insurance Company – Provides insurance tailored to child welfare and other not-for-profit organizations for property, liability, auto and other insurance coverage, as well as unemployment tax savings products. 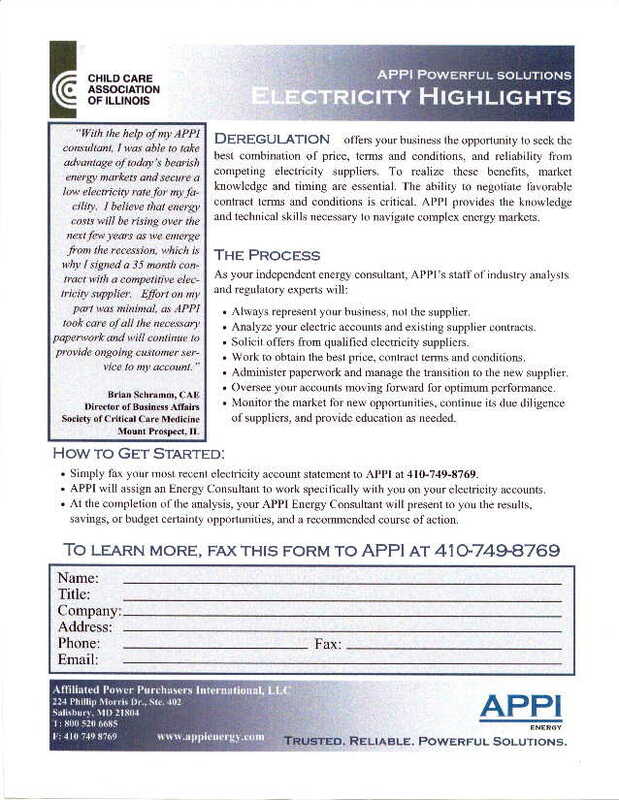 · APPI (Affiliated Power Purchases International) - for savings on electricity costs. They will assess your costs with your current carrier and advise on potential savings. · Enterprise Car Rental Discounts – for both business and personal use. Call (217-528-4409) for the CCA Corporate number for use with your local Enterprise dealer.